Global Travel Media » Blog Archive » Seven secondary schools awarded a unique entrepreneurial learning program for Year 9 and 10 students thanks to AgriFutures Australia. Seven secondary schools awarded a unique entrepreneurial learning program for Year 9 and 10 students thanks to AgriFutures Australia. 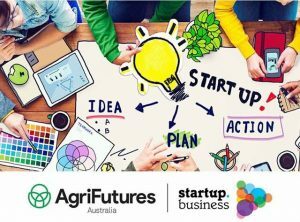 The AgriFutures™ startup.business pilot program will show young people how the skills and mindset of entrepreneurs can allow them to create their own jobs. The Problem Based Learning (PBL) concept naturally reflects the way people learn and develop in real life. Presenting problems (not the solutions) to facilitate learning, will work in conjunction with skill development and awareness activities, presented in the form of modules.“We have been able to cover the length and breadth of regional and rural Australia to provide access to schools for the AgriFutures™ startup.business Pilot Program,” says startup.business co-founder Jo Burston. “These seven lucky schools will embark on solving some of agriculture’s toughest problems and in the process adapt the learning and mindset of entrepreneurship. We cannot wait to see the innovations, ideas and solutions they present at the end of the program. This is serious impact in the making. ”There are currently four jobs in agriculture for every university graduate studying an agricultural-related degree (Pratley, 2017). However, there are barriers to entrepreneurship in rural and regional areas that education in entrepreneurship aims to overcome. AgriFutures™ startup.business’ unique approach enables students’ passion for, and interest in, business to be integrated into large scale solutions for local problems. “We are thrilled with the response to this pilot program and are really excited to follow all the schools journeys throughout the program. This is a perfect opportunity to expose high school students to different ways of approaching national rural issues, and importantly expand their horizons in terms of what a career in agriculture could look like”, says AgriFutures Australia Managing Director, John Harvey.